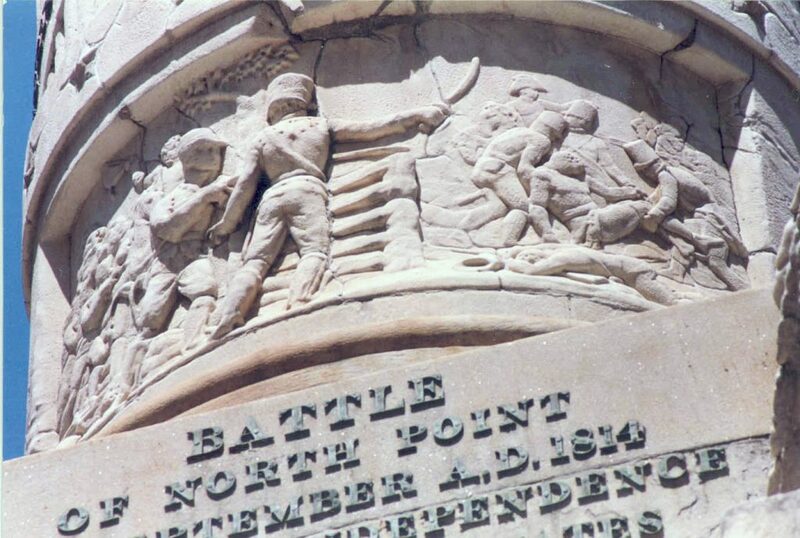 Above: Death of General Ross as depicted on the Battle Monument, Baltimore. 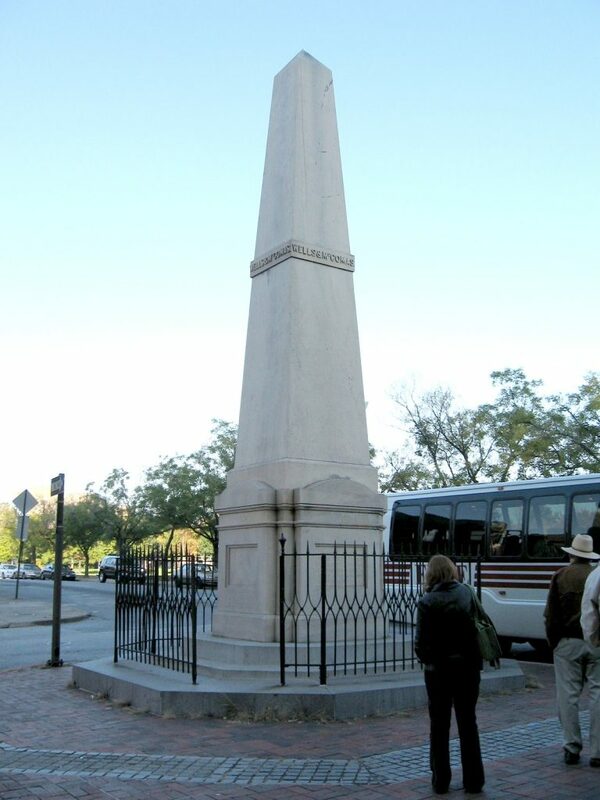 Above: The Wells & McComas Monument, Baltimore. 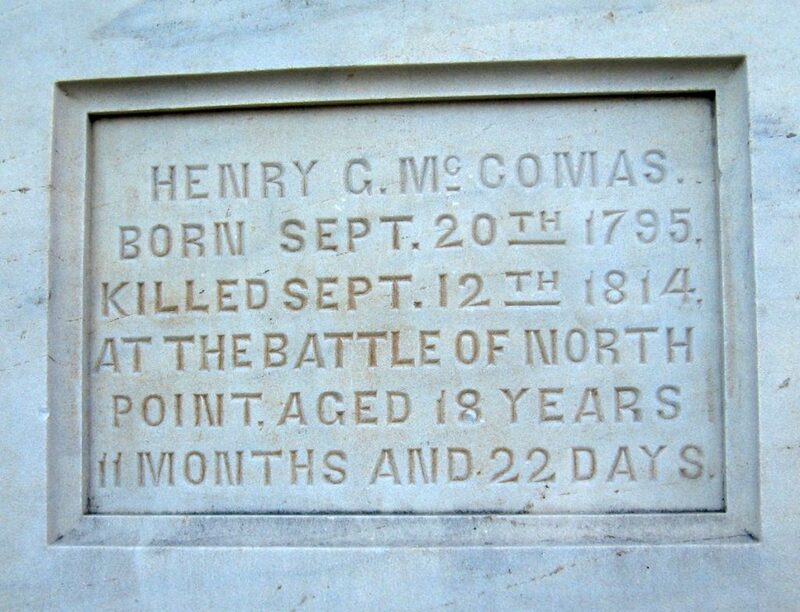 Above: Inscription on the Wells & McComas Monument, Baltimore.